The Melissotheque of the Aegean is a reference collection of wild bees and other pollinating insects from the wider area of the Aegean Archipelago. The creation of this scientific infrastructure began in 2004, within the framework of the research needs and the activities of the laboratory, where the collection is kept. The Melissotheque of the Aegean aims at covering the Linnean and Wallacean shortfalls that result from the absence of a systematic reference collection in Greece. It aspires to promote scientific knowledge and it supports environmental education activities with respect to these insects, focusing on their key role in the primary production, as well as on their contribution to the evolution and the survival of the unique flora of the area. 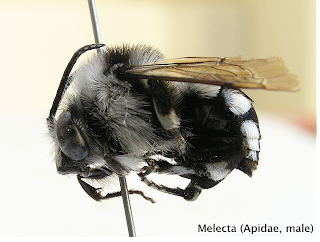 Currently, nine years after the first collections started, the Melissotheque includes more than 200,000 insect specimens. Read about the Melissotheque in the local and national press.